David Ortiz - 1B BOS Fanduel: 4000 Draftkings: 0 - Ortiz will be facing Josh Tomlin at Progressive Field (Cleveland, Ohio). Tomlin has an ERA against lefties of 3.38 with a wOBA of 0.297. His ERA at home is 4.33 and his wOBA is 0.337. During their history against eachother, Ortiz has faced Josh Tomlin 14 times with a slugging percentage of 0.000 with 2 homeruns. 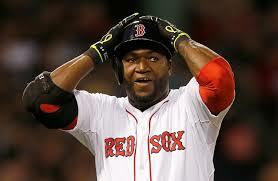 Ortiz on the road crushes it. He has an ISO of 0.224 and has a wOBA of 0.338. Ortiz hits righties in a big way, with an ISO of 0.360 and has a wOBA of 0.44. Kendrys Morales - 1B KAN Fanduel: 3000 Draftkings: 3700 - Morales will be seeing Daniel Norris at Comerica Park (Detroit, Michigan). Norris has an ERA against switch hitters of 3.46 with a wOBA of 0.387. His ERA at home is 4.5 and his wOBA is 0.396. Morales hits lefties extremely hard. His ISO is 0.241 and has a wOBA of 0.358. Signs are pointing up for him today. Miguel Cabrera - 1B DET Fanduel: 3900 Draftkings: 4700 - Cabrera will be seeing Ian Kennedy at Comerica Park (Detroit, Michigan). Kennedy has an ERA against righties of 3.38 with a wOBA of 0.308. His ERA on the road is 4.18 and his wOBA is 0.325. Cabrera has faced Ian Kennedy 12 times with a slugging percentage of 0.000. Throughout the last 7 days Cabrera has scored 12.3 Fanduel fantasy points while his season average is 11.8. He has a batting average of 0.346 and a slugging percentage of 0.615 over that time. He also has hit 2 homeruns. Cabrera at home crushes it. He has an ISO of 0.304 and has a wOBA of 0.436. Cabrera hits righties very hard. His ISO is 0.263 and has a wOBA of 0.405. Eric Hosmer - 1B KAN Fanduel: 3400 Draftkings: 3500 - Hosmer is taking on Daniel Norris at Comerica Park (Detroit, Michigan). Norris has an ERA against lefties of 5.40 with a wOBA of 0.379. His ERA at home is 4.5 and his wOBA is 0.396. Hosmer on the road crushes it. He has an ISO of 0.175 and has a wOBA of 0.319. Edwin Encarnacion - 1B TOR Fanduel: 4300 Draftkings: 4700 - Encarnacion is going against Nathan Eovaldi at Yankee Stadium (New York, New York). Eovaldi has an ERA against righties of 4.92 with a wOBA of 0.302. His ERA at home is 4.38 and his wOBA is 0.338. Over the last 7 days Encarnacion has scored 19.2 Fanduel fantasy points while his season average is 13. He has a batting average of 0.455 and a slugging percentage of 0.955 over that time. He also has hit 3 homeruns. Encarnacion on the road crushes it. He has an ISO of 0.256 and has a wOBA of 0.366. Encarnacion hits righties in a big way, with an ISO of 0.274 and has a wOBA of 0.381. Nick Franklin - 2B TAM Fanduel: 2300 Draftkings: 3500 - Franklin is taking on Luis Perdomo at Tropicana Field (St. Petersburg, Florida). Perdomo has an ERA against switch hitters of 7.34 with a wOBA of 0.371. He's playing poorly big time on the road. His ERA on the road is 6.16 and his wOBA is 0.365. During the last week of games, Franklin has scored 13.6 Fanduel fantasy points while his season average is 9.2. He has a batting average of 0.250 and a slugging percentage of 0.667 over that time. Franklin at home crushes it. He has an ISO of 0.164 and has a wOBA of 0.348. Franklin hits righties very hard. His ISO is 0.156 and has a wOBA of 0.338. Signs are pointing up for him today. Daniel Murphy - 2B WAS Fanduel: 4400 Draftkings: 5600 - Murphy will go against Jorge De La Rosa at Coors Field (Denver, Colorado) which ranks number 1 in runs scored and number 2 in home runs allowed. 10 so expect some runs to be scored. De La Rosa has an ERA against lefties of 5.74 with a wOBA of 0.338. Also he isn't getting it done at home. His ERA at home is 5.06 and his wOBA is 0.344. During the prior 7 days Murphy has scored 15.1 Fanduel fantasy points while his season average is 12.8. He has a batting average of 0.286 and a slugging percentage of 0.643 over that time. Murphy on the road0.307 and has a wOBA of 0.433. Murphy hits lefties big time, to the tune of an ISO of 0.250 and has a wOBA of 0.381. Logan Forsythe - 2B TAM Fanduel: 3500 Draftkings: 4500 - Forsythe faces Luis Perdomo at Tropicana Field (St. Petersburg, Florida). Perdomo has an ERA against righties of 6.36 with a wOBA of 0.393. He really isn't doing well on the road. His ERA on the road is 6.16 and his wOBA is 0.365. Over the last week Forsythe has scored 17.1 Fanduel fantasy points while his season average is 10.8. He has a batting average of 0.391 and a slugging percentage of 0.826 over that time. He also has hit 3 homeruns. Forsythe at home0.182 and has a wOBA of 0.336. Forsythe hits righties in a big way, with an ISO of 0.168 and has a wOBA of 0.337. If you see him starting, try to roster him. Dustin Pedroia - 2B BOS Fanduel: 3400 Draftkings: 3800 - Pedroia will be battling Josh Tomlin at Progressive Field (Cleveland, Ohio). Tomlin has an ERA against righties of 4.79 with a wOBA of 0.349. His ERA at home is 4.33 and his wOBA is 0.337. When they have faced eachother, Pedroia has faced Josh Tomlin 13 times with a slugging percentage of 0.000. During the last week of games, Pedroia has scored 16.3 Fanduel fantasy points while his season average is 11. He has a batting average of 0.500 and a slugging percentage of 0.692 over that time. Pedroia on the road is money. His ISO is 0.146 and has a wOBA of 0.341. Pedroia hits righties in a big way, with an ISO of 0.157 and has a wOBA of 0.361. He can be in for a very nice game today. Robinson Cano - 2B SEA Fanduel: 3800 Draftkings: 4900 - Cano will be seeing Ricky Nolasco at Angel Stadium of Anaheim (Anaheim, California). Nolasco has an ERA against lefties of 3.72 with a wOBA of 0.320. Also he isn't getting it done at home. His ERA at home is 5.3 and his wOBA is 0.337. Over the last 7 days Cano has scored 12 Fanduel fantasy points while his season average is 11.8. He has a batting average of 0.269 and a slugging percentage of 0.538 over that time. He also has hit 2 homeruns. Cano on the road is awesome and his ISO is 0.261 and has a wOBA of 0.402. Cano hits righties in a big way, with an ISO of 0.278 and has a wOBA of 0.4. Anthony Rendon - 3B WAS Fanduel: 3900 Draftkings: 5300 - Rendon will battle Jorge De La Rosa at Coors Field (Denver, Colorado) which ranks number 1 in runs scored and number 2 in home runs allowed. There's a high over under on this game, 10De La Rosa has an ERA against righties of 5.56 with a wOBA of 0.370. He really isn't doing well at home. His ERA at home is 5.06 and his wOBA is 0.344. During his career, Rendon has faced Jorge De La Rosa 9 times with a slugging percentage of 0.000. Rendon has scored 15.9 Fanduel fantasy points while his season average is 10.7. He has a batting average of 0.278 and a slugging percentage of 0.778 over that time. He also has hit 2 homeruns. Rendon on the road is incredible. His ISO is 0.192 and has a wOBA of 0.346. Rendon hits lefties in a big way, with an ISO of 0.158 and has a wOBA of 0.371. Look for a big game. Evan Longoria - 3B TAM Fanduel: 3800 Draftkings: 4500 - Longoria will be pitted against Luis Perdomo at Tropicana Field (St. Petersburg, Florida). Perdomo has an ERA against righties of 6.36 with a wOBA of 0.393. He really isn't doing well on the road. His ERA on the road is 6.16 and his wOBA is 0.365. Throughout the last 7 days Longoria has scored 17.9 Fanduel fantasy points while his season average is 11.2. He has a batting average of 0.435 and a slugging percentage of 0.696 over that time. Longoria at home is money. His ISO is 0.231 and has a wOBA of 0.336. Longoria hits righties very hard. His ISO is 0.253 and has a wOBA of 0.365. Kyle Seager - 3B SEA Fanduel: 3400 Draftkings: 4500 - Seager will be taking on Ricky Nolasco at Angel Stadium of Anaheim (Anaheim, California). Nolasco has an ERA against lefties of 3.72 with a wOBA of 0.320. Also he has not done well at home. His ERA at home is 5.3 and his wOBA is 0.337. During the prior 7 days Seager has scored 17 Fanduel fantasy points while his season average is 11.5. He has a batting average of 0.320 and a slugging percentage of 0.640 over that time. He also has hit 2 homeruns. Seager on the road is awesome and his ISO is 0.268 and has a wOBA of 0.379. Seager hits righties very hard. His ISO is 0.253 and has a wOBA of 0.407. He can be in for a very nice game today. Jake Lamb - 3B ARI Fanduel: 3300 Draftkings: 5200 - Lamb will go against Bartolo Colon at Chase Field (Phoenix, Arizona) which ranks number 2 in runs scored and number 7 in home runs allowed. Colon has an ERA against lefties of 3.74 with a wOBA of 0.313. His ERA on the road is 3.22 and his wOBA is 0.298. Lamb at home is incredible. His ISO is 0.373 and has a wOBA of 0.424. Lamb hits righties big time, to the tune of an ISO of 0.319 and has a wOBA of 0.411. Aaron Hill - 3B BOS Fanduel: 2500 Draftkings: 3300 - Hill will be taking on Josh Tomlin at Progressive Field (Cleveland, Ohio). Tomlin has an ERA against righties of 4.79 with a wOBA of 0.349. His ERA at home is 4.33 and his wOBA is 0.337. Hill has faced Josh Tomlin 7 times with a slugging percentage of 0.000. Hill on the road0.154 and has a wOBA of 0.353. Hill hits righties in a big way, with an ISO of 0.132 and has a wOBA of 0.321. If you see him starting, try to roster him. Trea Turner - SS WAS Fanduel: 4200 Draftkings: 5500 - Turner squares off verse Jorge De La Rosa at Coors Field (Denver, Colorado) which ranks number 1 in runs scored and number 2 in home runs allowed. Look for some runs with an over under of 10 so expect some runs to be scored. De La Rosa has an ERA against righties of 5.56 with a wOBA of 0.370. Also he has been playing poorly at home. His ERA at home is 5.06 and his wOBA is 0.344. Turner has scored 17.9 Fanduel fantasy points while his season average is 13.7. He has a batting average of 0.375 and a slugging percentage of 0.667 over that time. Turner on the road is great! His ISO is 0.178 and has a wOBA of 0.397. Danny Espinosa - SS WAS Fanduel: 3500 Draftkings: 4600 - Espinosa will be pitted against Jorge De La Rosa at Coors Field (Denver, Colorado) which ranks number 1 in runs scored and number 2 in home runs allowed. This game has a high over under of 10 so expect a high scoring game. De La Rosa has an ERA against switch hitters of 5.56 with a wOBA of 0.370. Also he has not done well at home. His ERA at home is 5.06 and his wOBA is 0.344. During their history against eachother, Espinosa has faced Jorge De La Rosa 9 times with a slugging percentage of 0.000. Matt Duffy - SS TAM Fanduel: 2600 Draftkings: 3500 - Duffy will be pitted against Luis Perdomo at Tropicana Field (St. Petersburg, Florida). Perdomo has an ERA against righties of 6.36 with a wOBA of 0.393. on the road. His ERA on the road is 6.16 and his wOBA is 0.365. Duffy at home0.106 and has a wOBA of 0.379. He should be in for a great game as long as he is starting. Brad Miller - SS TAM Fanduel: 3800 Draftkings: 5300 - Miller will battle Luis Perdomo at Tropicana Field (St. Petersburg, Florida). Perdomo has an ERA against lefties of 7.34 with a wOBA of 0.371. He really isn't doing well on the road. His ERA on the road is 6.16 and his wOBA is 0.365. Over the last 7 days Miller has scored 15.2 Fanduel fantasy points while his season average is 10. He has a batting average of 0.292 and a slugging percentage of 0.667 over that time. He also has hit 2 homeruns. Miller at home crushes it. He has an ISO of 0.301 and has a wOBA of 0.357. Miller hits righties in a big way, with an ISO of 0.274 and has a wOBA of 0.363. Ketel Marte - SS SEA Fanduel: 2200 Draftkings: 2800 - Marte will go against Ricky Nolasco at Angel Stadium of Anaheim (Anaheim, California). Nolasco has an ERA against switch hitters of 3.72 with a wOBA of 0.320. He's playing poorly big time at home. His ERA at home is 5.3 and his wOBA is 0.337. Sandy Leon - C BOS Fanduel: 3000 Draftkings: 3100 - Leon will be taking on Josh Tomlin at Progressive Field (Cleveland, Ohio). Tomlin has an ERA against switch hitters of 3.38 with a wOBA of 0.297. His ERA at home is 4.33 and his wOBA is 0.337. Throughout the last 7 days Leon has scored 17.2 Fanduel fantasy points while his season average is 10.4. He has a batting average of 0.563 and a slugging percentage of 1.000 over that time. Leon on the road is great! His ISO is 0.255 and has a wOBA of 0.439. Leon hits righties very hard. His ISO is 0.220 and has a wOBA of 0.398. Mike Zunino - C SEA Fanduel: 2700 Draftkings: 2900 - Zunino is taking on Ricky Nolasco at Angel Stadium of Anaheim (Anaheim, California). Nolasco has an ERA against righties of 6.43 with a wOBA of 0.349. Additionally, he isn't doing well at home. His ERA at home is 5.3 and his wOBA is 0.337. Zunino hits righties big time, to the tune of an ISO of 0.378 and has a wOBA of 0.403. This guy should get some good fantasy points. Salvador Perez - C KAN Fanduel: 3100 Draftkings: 3000 - Perez faces Daniel Norris at Comerica Park (Detroit, Michigan). Norris has an ERA against righties of 3.46 with a wOBA of 0.387. His ERA at home is 4.5 and his wOBA is 0.396. James McCann - C DET Fanduel: 2300 Draftkings: 3000 - McCann will battle Ian Kennedy at Comerica Park (Detroit, Michigan). Kennedy has an ERA against righties of 3.38 with a wOBA of 0.308. His ERA on the road is 4.18 and his wOBA is 0.325. Over the last week McCann has scored 11.8 Fanduel fantasy points while his season average is 6.9. He has a batting average of 0.357 and a slugging percentage of 0.643 over that time. J.T. Realmuto - C MIA Fanduel: 3000 Draftkings: 3600 - Realmuto is going against Brandon Finnegan at Great American Ball Park (Cincinnati, Ohio). Finnegan has an ERA against righties of 5.27 with a wOBA of 0.344. His ERA at home is 4.31 and his wOBA is 0.322. Realmuto on the road is incredible. His ISO is 0.112 and has a wOBA of 0.385. Mookie Betts - OF BOS Fanduel: 4100 Draftkings: 0 - Betts will face Josh Tomlin at Progressive Field (Cleveland, Ohio). Tomlin has an ERA against righties of 4.79 with a wOBA of 0.349. His ERA at home is 4.33 and his wOBA is 0.337. Over the last 7 days Betts has scored 22.2 Fanduel fantasy points while his season average is 14.3. He has a batting average of 0.364 and a slugging percentage of 0.909 over that time. He also has hit 3 homeruns. Betts on the road is money. His ISO is 0.213 and has a wOBA of 0.36. Betts hits righties very hard. His ISO is 0.228 and has a wOBA of 0.383. This guy should crush it today if he is starting. Jayson Werth - OF WAS Fanduel: 4000 Draftkings: 5400 - Werth faces Jorge De La Rosa at Coors Field (Denver, Colorado) which ranks number 1 in runs scored and number 2 in home runs allowed. There over under on this game is pretty big at 10 so expect a lot of runs to be scored. De La Rosa has an ERA against righties of 5.56 with a wOBA of 0.370. Also he has not done well at home. His ERA at home is 5.06 and his wOBA is 0.344. During their career, Werth has faced Jorge De La Rosa 17 times with a slugging percentage of 0.000 with 1 homeruns. Werth on the road crushes it. He has an ISO of 0.200 and has a wOBA of 0.345. Werth hits lefties big time, to the tune of an ISO of 0.270 and has a wOBA of 0.439. Signs are pointing up for him today. Steven Souza Jr. - OF TAM Fanduel: 2700 Draftkings: 3600 - Souza Jr. is taking on Luis Perdomo at Tropicana Field (St. Petersburg, Florida). Perdomo has an ERA against righties of 6.36 with a wOBA of 0.393. Additionally, he isn't doing well on the road. His ERA on the road is 6.16 and his wOBA is 0.365. J.D. Martinez - OF DET Fanduel: 3400 Draftkings: 3500 - Martinez will battle Ian Kennedy at Comerica Park (Detroit, Michigan). Kennedy has an ERA against righties of 3.38 with a wOBA of 0.308. His ERA on the road is 4.18 and his wOBA is 0.325. Over the last week Martinez has scored 14 Fanduel fantasy points while his season average is 11.7. He has a batting average of 0.346 and a slugging percentage of 0.615 over that time. He also has hit 2 homeruns. Martinez at home crushes it. He has an ISO of 0.282 and has a wOBA of 0.429. Martinez hits righties in a big way, with an ISO of 0.216 and has a wOBA of 0.37. He can be in for a very nice game today. Ben Revere - OF WAS Fanduel: 3000 Draftkings: 4300 - Revere will face Jorge De La Rosa at Coors Field (Denver, Colorado) which ranks number 1 in runs scored and number 2 in home runs allowed. The over under on this game is huge, at 10 so expect some runs to be scored. De La Rosa has an ERA against lefties of 5.74 with a wOBA of 0.338. In addition, he is really struggling at home. His ERA at home is 5.06 and his wOBA is 0.344. Revere has scored 13 Fanduel fantasy points while his season average is 7.6. He has a batting average of 0.368 and a slugging percentage of 0.632 over that time. Kevin Kiermaier - OF TAM Fanduel: 2800 Draftkings: 3800 - Kiermaier is taking on Luis Perdomo at Tropicana Field (St. Petersburg, Florida). Perdomo has an ERA against lefties of 7.34 with a wOBA of 0.371. In addition, he is really struggling on the road. His ERA on the road is 6.16 and his wOBA is 0.365. Over the last week Kiermaier has scored 10.5 Fanduel fantasy points while his season average is 9. He has a batting average of 0.318 and a slugging percentage of 0.455 over that time. Nelson Cruz - OF SEA Fanduel: 4000 Draftkings: 4300 - Cruz is facing Ricky Nolasco at Angel Stadium of Anaheim (Anaheim, California). Nolasco has an ERA against righties of 6.43 with a wOBA of 0.349. at home. His ERA at home is 5.3 and his wOBA is 0.337. During his career, Cruz has faced Ricky Nolasco 10 times with a slugging percentage of 0.000 with 2 homeruns. Over the last 7 days Cruz has scored 15.4 Fanduel fantasy points while his season average is 11.8. He has a batting average of 0.417 and a slugging percentage of 0.833 over that time. He also has hit 2 homeruns. Cruz on the road is money. His ISO is 0.292 and has a wOBA of 0.4. Cruz hits righties extremely hard. His ISO is 0.209 and has a wOBA of 0.365. He should be in for a great game as long as he is starting.